Wonder how this goes after their LTC offer that was not so so interesting after all. Hope to see some profit chart against the other well known mulitpools. I’ve been hashing with about 7MH at Ghash for a few hours. With the GS cluster, I had to disable SXC, 42, CAT, DBG, and FTC as I wasn’t returning any shares. With the rates/difficulties where they are right now, GS owners might be best sticking with LTC/Doge. 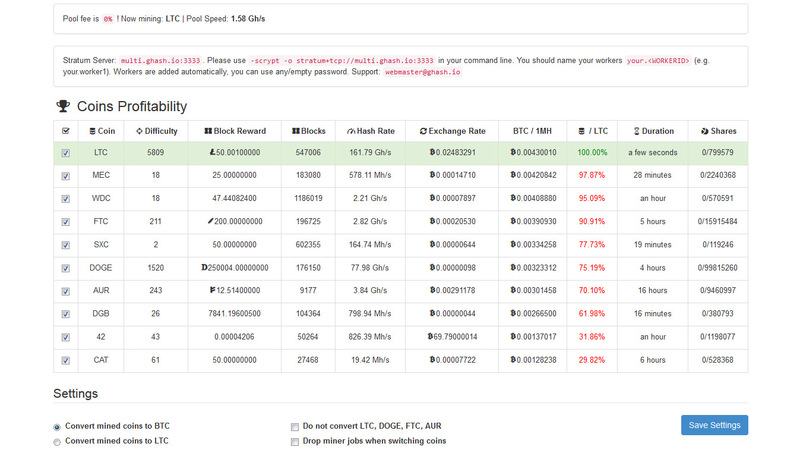 Still going to perform a 24-hour test against us.litecoinpool.org to see if there’s any real benefits to switching pools and ditching a stable PPS pool.